Aspen worked directly with the customer on this program to develop a custom solution which fit within a compact operating space. On this program thermal uniformity, audible noise, and price were all critical to the success of the design. Maintaining a uniform temperature across the cold plate was a particular challenge because each of the laser modules dissipated a unique heat load. 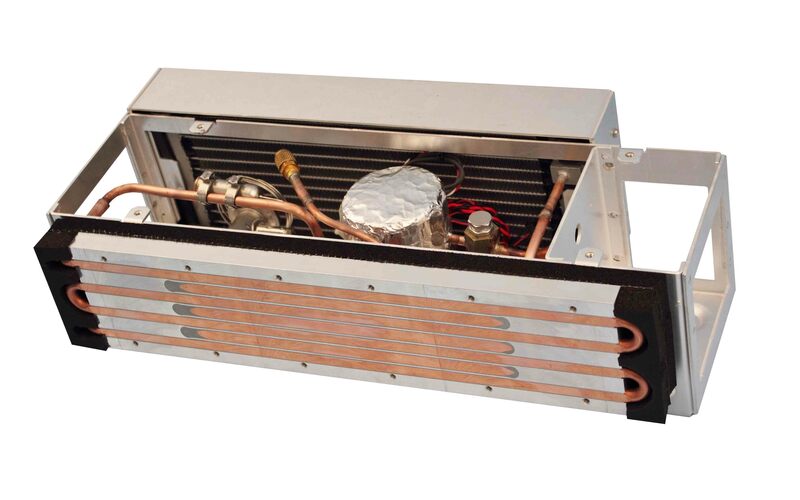 Aspen designed a cost effective solution which used heat pipes to spread the heat across the cold plate to increase the effective heat transfer area to the active cooling lines – maintaining low temperatures and precise thermal control.